I'm always looking for different ways to decorate my house. By different I mean strange, but socially acceptable. I know, most of you are probably wondering why I care, but I do! These sugar skull pillows are vibrant, happy, but still a little spooky! I think that this red skull pillow has the best coloring. I love this particular shade of red! It's oddly fitting for summertime. This purple skull pillow is the same as the red pillow. I think this is more fitting for Halloween, personally. It's kind of cute, especially with the floral and star markings. 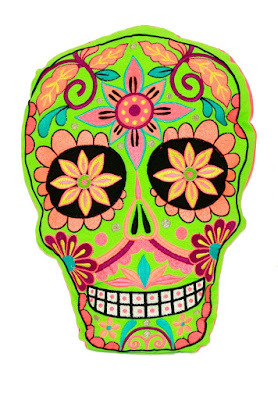 The coloring of this Day Of The Dead sugar skull embroidered pillow looks super toxic! It almost looks like an enormous bio hazard. 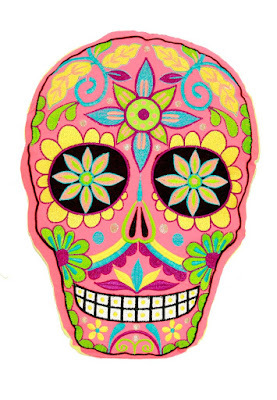 If you're looking for cutesy and creepy here's a pink sugar skull pillow. I think my niece might dig something like this as she's into skulls! 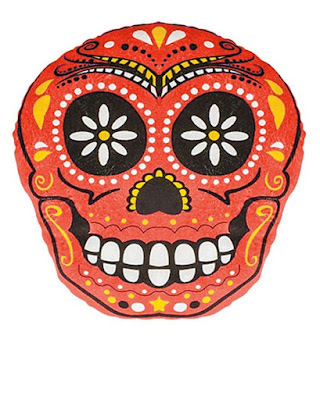 Check out other sugar skull pillows on Amazon and comment below. They are disturbing and beautiful enough to give your home a little edge!